Discussion in 'Professional, Medical Malpractice' started by JoeLaw, Apr 13, 2019. I am about to file a dental MalPractice lawsuit. The contigent lawyers hourly rate is 500/hour. The lawyer specializes in Dental Malpractice but the hourly rate seems really high to me . These type of cases usually don't have a high payout 50-120K. Can the hourly rate be negotiated? If the lawyer is willing to negotiate it, it can. If the lawyer is not willing to negotiate it, it can't. You'll never know until you ask him. The contigent lawyers hourly rate is 500/hour. If the lawyer is taking it on a contingency why are you concerned about the hourly rate? In general the answer is of course yes. When it comes to dealing with pretty much any business there is the possibility to negotiate on the price asked. You never know until you try. Whether this particular lawyer would negotiate down, though, is impossible for me to answer since I don't know him/her. I think the OP is trying to figure out whether he/she might come out ahead paying the lawyer on an hourly fee agreement rather than a contingent fee agreement. When one refers to a "contingent" (not "contigent") lawyer, that means the lawyer is getting paid a percentage of the plaintiff's recovery. 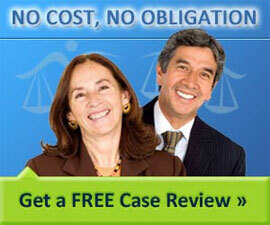 When a lawyer works on contingency, he/she does not get paid an hourly rate. That's up to the lawyer. You can try to negotiate, but the lawyer may tell you his/her rate isn't negotiable.